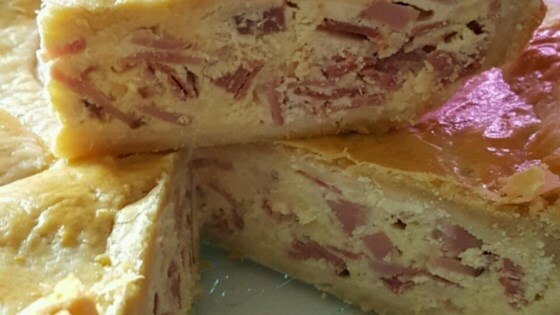 "This meat pie is a winner every Easter. Stuffed full of ham, salami, and prosciutto, as well as ricotta, Parmesan, and mozzarella cheeses, this pie really satisfies!" This recipe has been revised to include the two missing pie crusts. The recipe calls for 4 pie crusts total.